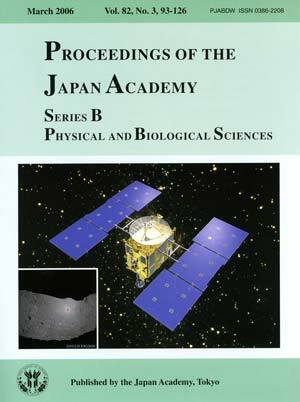 Spacecraft Hayabusa, which has been developed for demonstrating new space technologies needed for future sample return from minor planetary bodies, was launched on May 9th, 2003 and arrived at a near-Earth asteroid named “Itokawa” on September 12th, 2005. Itokawa was located at about 300 million km from the Earth at the time of the rendezvous and has an approximate size of 560 m x 250 m x 210 m. Hayabusa successfully landed on the surface of Itokawa on November 20th and 26th and most probably collected samples from the surface of the asteroid by a sampler horn system. It also took many photographs of the asteroid and sent them to the Earth with the results of valuable scientific observations. Hayabusa has been out of communication since December 9th, 2005 and is currently under the recovery operation to restore communications with the ground station. If communication resumes, Hayabusa is expected to return to the Earth in June, 2010. Hayabusa is 510 kg in net mass and has a pair of solar cell paddles (shown in blue in the illustration), newly developed, highly efficient ion engines, and an autonomous navigation system. Scientific instruments aboard include telescopic and wide-view cameras, a laser altimeter, an X-ray fluorescence spectrometer, a near-infrared spectrometer and a micro-rover. 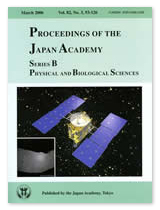 Lower left inset is a photograph of the central part of Itokawa taken from Hayabusa, in which the shadow of Hayabusa is seen within a bright circle on a flat surface named Muses Sea.